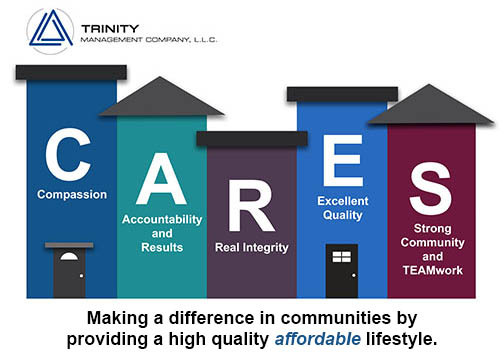 The success of a company is ultimately determined by its people...Trinity Management Company has an extraordinary opportunity for a dynamic and dedicated individuals to join our landscaping team. If you are an energetic, hardworking, team-oriented individual that consistently delivers spectacular customer service, this may be the perfect fit for you! Must be able to work outdoors in all weather conditions including Arizona summer heat. Must be able to show up to work on time, be dependable, hardworking, have a strong work ethic and attention to detail. Must have valid driver’s license and reliable transportation to and from work. Must have ability to use hand tools, power tools and equipment. Must have general experience with blowing, hedging, mowing, weed eating, raking, weed removal, and picking up debris. Previous experience in landscape maintenance and landscaping is a plus. Ability to follow direction of Landscape foreman and work well in a team environment. Able to lift up to 50 lbs and to stand, twist, bend or walk frequently. Proper use of PPE is required.